See the list of people who resell our CounterHack services. 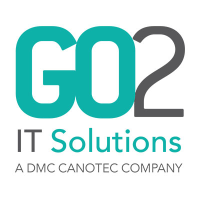 GO2IT offer a range of services to help customers to make the most of their business IT. They offer bespoke and innovative solutions to your IT issues, which will ensure your solution will maximise efficiency and profitability. They aim to focus completely on their customer’s need and will ensure that the solution they provide their customer will always be the latest technology. CAE is a leading technology service company working with their partners and clients to deliver trusted solutions. They aim to earn customer’s, partner’s and employee’s trust. This is to make them the first choice when delivering technology services as they set the standard that others aspire to achieve. Trowers and Hamlins is an international law firm working to help businesses and governments change the way we live and work for the better. They provide commercial advice geared towards tackling the industry challenges of tomorrow. Trowers and Hamlins are known for being experts in the sectors of work their clients operate. They wish to maximise the commercial opportunities of their clients.